Hearing loss caused by exposure to loud noises, known as noise-induced hearing loss (NIHL), is one of the most common and preventable types of hearing loss. It is estimated that 15 percent of Americans between the ages of 20 and 69 are experiencing hearing loss that is the result of exposure to excessive noise either at work or through recreational activities. High-risk pursuits include hunting, riding motorcycles and snowmobiles, attending rock concerts, listening to music at high volume through earbuds or headphones, and even mowing the lawn or using a leaf blower. Are Musicians at Risk of NIHL? Musicians in San Diego and around the country spend a significant amount of their time practicing and performing, exposing themselves to loud music. Being around these dangerously loud sounds can lead to a number of hearing disorders including long-term hearing loss, tinnitus and more. The good news? 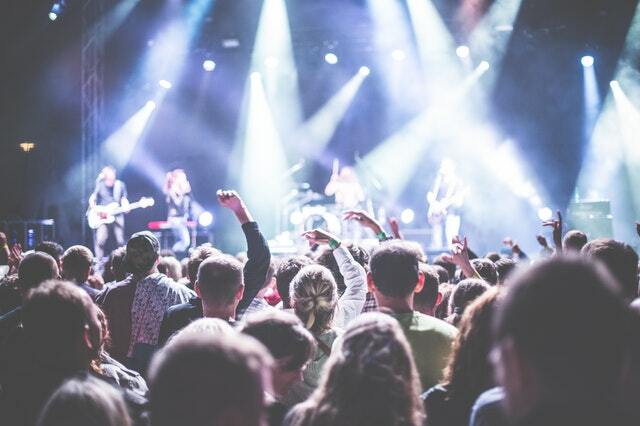 Musicians earplugs can help prevent noise-induced hearing loss while allowing musicians to enjoy the music and reduce their risk of developing permanent hearing damage. Unlike traditional earplugs that block out noise and cause music and speech to sound muffled or distorted, musicians earplugs are high-fidelity. This means these earplugs are able to reduce sound levels evenly while keeping the original quality of the music intact. Not only does this lead to music and speech that is clear and natural, it also allows musicians to hear their own instruments. Musicians earplugs are made up of a diaphragm and earmold that work together to produce attenuation (reduction in sound) that is smooth and flat across the entire frequency range. Contrary to their name, these devices can be used by more than just musicians. Those attending any live performance can benefit from these devices, as they will both protect their hearing and allow them to hear the music as it was originally meant to be heard. Contact your San Diego audiologist to learn more about musician earplugs and other earmolds to protect your hearing. →Do You Have Hearing Loss?